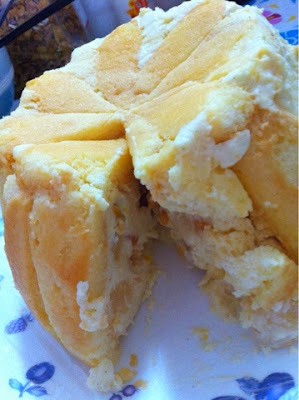 For this post, I will post up some pictures of the Charlotte French Sponge Fingers and Dartois Puff Pastry in progress. The Charlotte Romaine is a french non baked dessert which contains cream anglaise custard encased in sponge finger biscuits..
Mixing of milk and eggs with whisk. Charlotte Tin lined with sponge fingers dipped into fruit juice from can. This tin is very expensive ... about 40Aud. 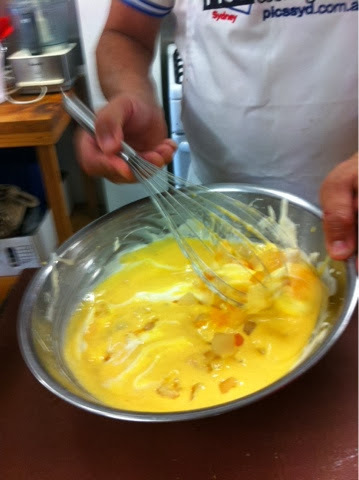 Combining fruit salad, cream anglaise ad stiff whipped cream. Which is then poured into prepared Charlotte tin. Charlotte Romaine which has already set. 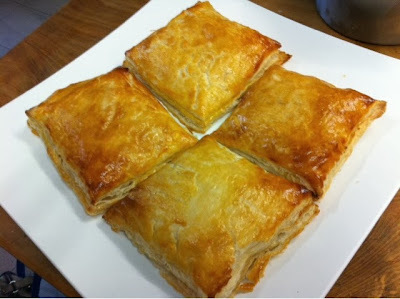 The second pastry I am presenting today is the Dartois puff pastry. 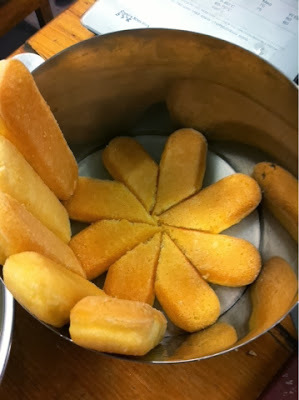 For the purpose of time, the teacher just asked the students to use the Pampas branded frozen puff pastry, the type available from Coles or Woolworths. 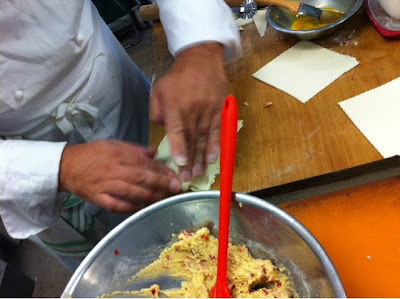 It is a puff pastry with filling of using almond powder, glacee cherries some butter, sugar, and almond essence. The puff pastry is taken out to defrost one day in advance. 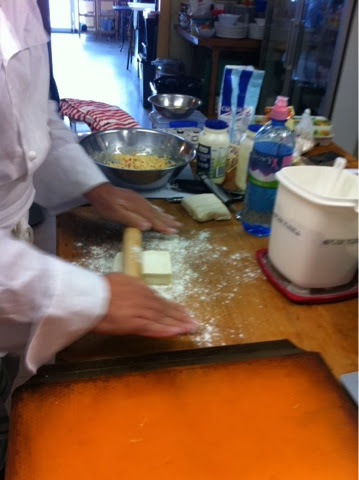 the Pampas puff pastry (costing 4AUD) being rolled out. 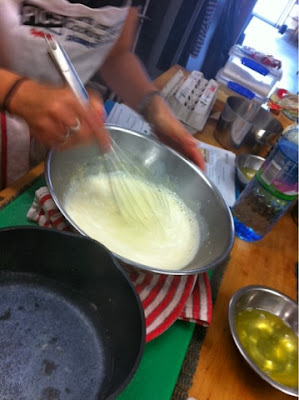 almond powder and some plain flour.